Credit cards now have an age restriction. Credit card companies will be required to ask customers their age and individual income levels in order to approve new customer accounts. The minimum age for a credit card has not changed. 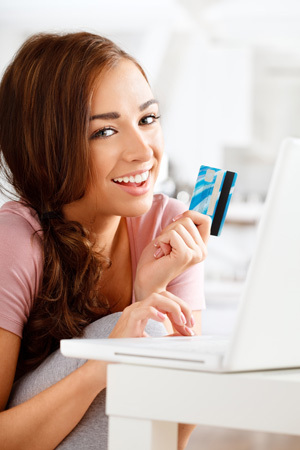 In fact, many credit card companies still offer credit cards for 18 year olds – legal adults in the United States. However, in order to obtain a credit card before 21 years old, a borrower will need a minimum income level of $20,000 per year. Become an authorized user – A child can become an authorized user on a parent’s credit card without being obligated to pay the balance. When you add your child as an authorized user, you’ll receive a new card for the person named as an authorized user. Their spending is automatically added to your statement each month. Seek a joint account – A joint credit card account is an account in which two people apply for a credit card. When you sign up for a joint account, both the parent and child are liable for balances, as both names are on the account. Get a prepaid card – A prepaid credit card can be found for all ages, making it possible to unlock the benefits of plastic payment methods without an age restriction. The same is also true for debit cards, which are open to all ages with approval from a parent or guardian. Establishing a credit profile early is a very important step in building your child’s financial future. As an authorized user or joint account holder, your child or young adult can build up his or her credit report with a long-established trade line, one which will aid in future auto, home, or education financing. Always consider the risks however, as those who have limited credit experience might be susceptible to carrying high-rate credit card balances.